Autumn Equinox is here! And on its winged heels, Autumn’s Full Moon Lunar Eclipse on Sunday, September 27th. BOOM! Tis time to celebrate the new season of Autumn while preparing for what lies ahead during the darkening time of year – which the Sun and weeeee slip into the nano moment after the Equinox in the wee hours of the morn on Wednesday, September 23rd. The Seasonal portals are occasions for HIGH ALCHEMY. And with allllllll the other changing cycles occurring at this turning point, our potential for a rich harvest is being greatly supported. As the Ancients knew and practiced, it is vital to enter into ceremony at these crossroads of the changing seasons so as to be fortified and supported by the initiating forces in our midst. Through ritual and ceremony, we begin to acclimate ourselves to the changes occurring within and without the sacred wild forces of Nature. At Autumn Equinox, day and night are equal (or close to it at the equator)…. for only a moment! revealing much about the nature of balance and how very dynamic it really is. One minute we are in the light and then… wheeeeeeeeeeee!! into the dark side of the year we tumble! Sol then begins its spiraling journey back to the rejuvenating womb of Mother Nature at Winter Solstice. We are shifting out of Virgo’s earthy witch practical magic ways into the Autumn winds of Libra and alllllllll things committed relationship. Libra is the hearted diplomat, ever seeking to balance out and reconcile the opposites of light-dark, good-bad, right-wrong, love-hate. For ancient initiates of the deeper feminine, this moment marks the entrance into the Eleusinian Mysteries, presided over by Demeter, the Goddess of the Harvest, and her daughter, Persephone, Maiden transformed into Queen of the Underworld. She is made Queen through being abducted by Death itself (Hades). Demeter (Mother Nature) suffers horribly when her daughter is taken. All living things die, giving way to winter, while Persephone grows from Maiden into Queen hidden away in the darkness where the Sun (solar consciousness) never shines. These are the initiations of Life and Death. The awakening of the living by the dying. Dying into Life. Living into Death. With Pluto’s direct movement in Capricorn the day after Autumn Equinox after its many monthed retrograde period, we are being deeply supported by these Mysteries so as to be more deeply awakened and fortified by them. By relating to these sacred wild forces of nature through a ritual creation with these archetypes, we are better able to surrender to the darkness over this season, and the felt loss of ‘light’ (consciousness) we experience during the darkening time. We are fortified in our courage to release with greater trust into the energies carrying us into the dark womb of Mother Nature, where we are reformed by the sacred forces of Winter Solstice in another great round of Life, Death and our eventual Rebirth at Spring Equinox. 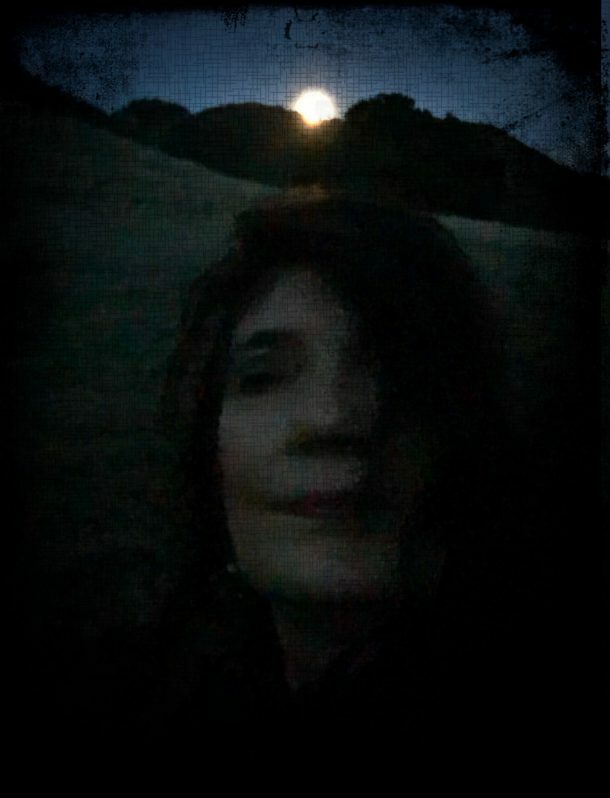 I invite you to steeeeep in a day of embodied ritual and creationary PLAY with me at this upcoming Full Moon Lunar eclipse on Sunday, September 27th at 12pm PDT. Let us drink in Autumn’s elixir of initiating forces and harvest our ground of support for this next cycle of our lives. Let us engage in an active embrace of the energies of the dying of the old self so as to support our bodysoul’s weave into the new. Yes, let us begin to harvest our efforts from over these last many months since Winter Solstice and realize them into embodiment over this last season of the year. I will be opening a secret facebook group on Friday, September 25th, to prepare us for the ritual on Sunday, September 27th at 12 noon PDT. The forum will be kept open for a time afterward so we can support each other in integrating the ritual. The ritual will be recorded. There will be an invitation to continue in Dark Moon rituals over the season of Autumn for those who want to be supported through the whole season of Autumn spiraling toward the Womb of Mother Nature at Winter Solstice. The suggested donation for this event is $50. As always, if you would like to attend but cannot afford this much, donate what you can. No questions asked. May the blessings of the Winds of Autumn, Libra and the waxing Moon be upon us alllll. Receive your Harvest and welcome your Descent into the Darkness.